iPhone passcode is very helpful as it protects your device from unauthorized access. However, forgetting the passcode can be a hassle because then you cannot use the device in any way. Resetting the passcode usually involves restoring the device via iTunes. However, there are ways to reset iPhone passcode without iTunes. Resetting iPhone passcode without iTunes is very easy when you know the passcode of your device. All you need to do in this case is launch the Settings app, navigate to the required section, and reset the passcode by providing the existing passcode. Step 2: Navigate to General > Touch ID and then tap on the Passcode option. Step 3: Now input your current passcode and then tap the “Change Passcode” option. Step 4: After that, you can either set a new passcode or simply skip the step if you don’t want to use any passcode. If you don’t know the iPhone passcode, then the only way to reset it is by restoring your iPhone. Restoring iPhone via iTunes is an easy process, however if for some reason you cannot use iTunes, then it is recommended that you use a third-party screen lock removal tool for this purpose. 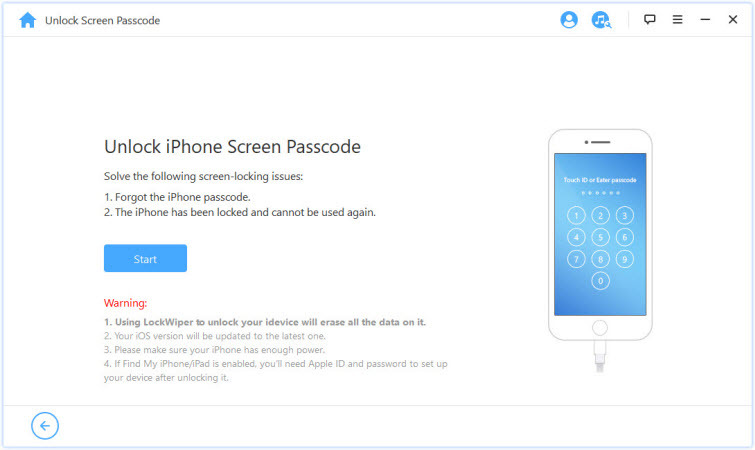 iMyFone LockWiper is a recommended choice to help you reset iPhone passcode without iTunes. It can remove screen lock of any type from any iDevice within a few minutes. Apart from removing iPhone passcode, there are many other useful things this tool can do for you. Remove iPhone passcode conveniently within a few minutes. Remove screen lock of any iDevice within just 3 steps. Remove screen lock of an iPhone even if it is disabled or has a broken screen. Remove Apple ID from an iDevice completely. 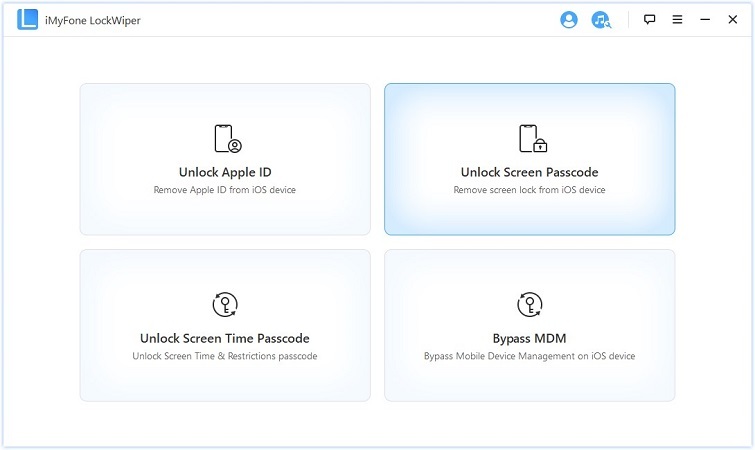 After removal, you can use a new Apple ID in the device without any problems. Supports all iDevice models and iOS versions. 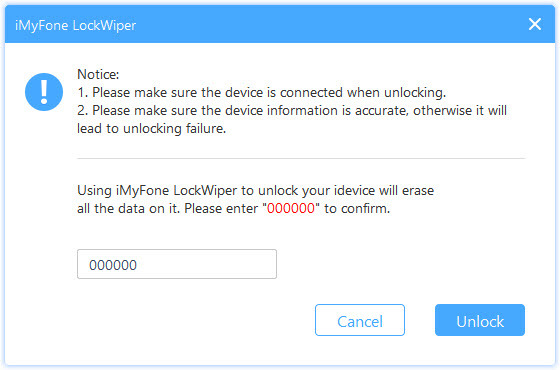 Step 1: Download, install, and launch iMyFone LockWiper on your PC. Step 3: Choose Unlock Screen Passcode mode from the main interface of the software. Step 4: Click Start to begin. LockWiper will look for compatible firmware for the connected device. Once the firmware is found, click on Download to download it. Step 5: Once the download is complete, click on Start to Extract button. Step 6: After that, click on the Start Unlock button. You will need to input passcode “000000” to confirm your action. After inputting the code, click on the Unlock button. Your iPhone will automatically boot into Recovery mode. If it doesn’t, then start the Recovery mode manually. iPhone passcode will be reset once the process is complete. You can also reset iPhone passcode without iTunes by using iCloud. Keep in mind that ‘Find My iPhone’ feature must be enabled on your iPhone in order for this method to work. If it’s not turned on, then first turn the feature on via the Settings app and then proceed. Step 1: Visit icloud.com on your favorite web browser. Step 2: Log in using your Apple ID. Step 3: After login, click on ‘Find My iPhone’ option. Step 4: Then click on All Devices. After that, select your iPhone from the list of devices displayed on the next screen. Step 5: Now click on the ‘Erase iPhone’ option. Step 6: Restore the most recent backup using the ‘Setup Assistant’ on your iPhone. 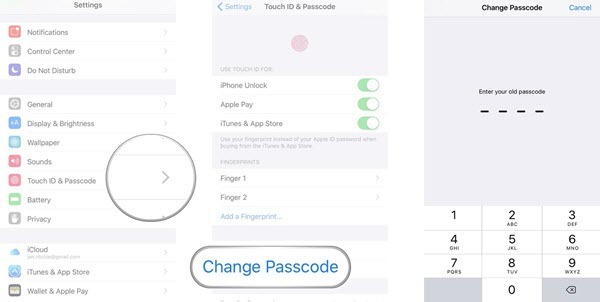 You iPhone passcode will be reset after this step. Resetting iPhone passcode when you don’t know the passcode requires you to restore your iPhone one way or the other. Restoring the device results in data loss. So, if you want to keep your data safe, then you will have to take certain measures either before or after the restoring process. Create iCloud Backup Before Resetting the Device: Since restoring completely resets your device, it is highly recommended that you back up your iPhone via iCloud before proceeding. Backing up data to iCloud is very easy as all you need to do is launch the Settings app on your iPhone, navigate to iCloud > Backup and then enable iCloud backup. 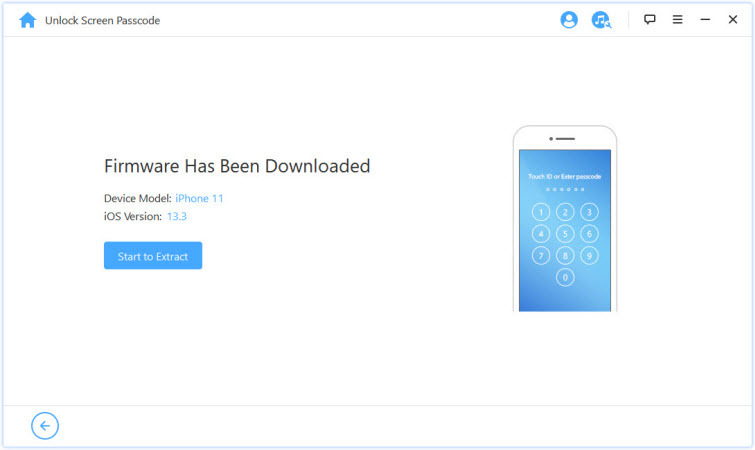 Reset and Restore iPhone Data Via a Data Recovery Tool: If for some reason you cannot access iCloud for backup purposes, then you will need to use a reliable data recovery tool to recover your iPhone data once it is erased during the restoring process. A reliable data recovery tool will allow you to recover all kinds of data from your iPhone after the reset.